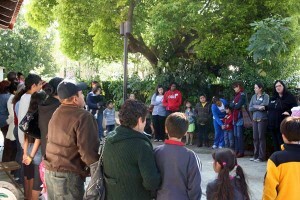 Earlier this month, I was fortunate to be invited to Los Angeles to present several Community Fusion Project events. As a guest of the San Fernando/Santa Clarita Child Abuse Prevention Council, my son Jake (a talented guitarist in his own right) and I led three sessions in the communities of Canoga Park and Pacoima in the San Fernando Valley. Over 120 participants and families from the communities took part in The Community Fusion Project in three sessions over two days, and boy – was it amazing and exhausting all at the same time! 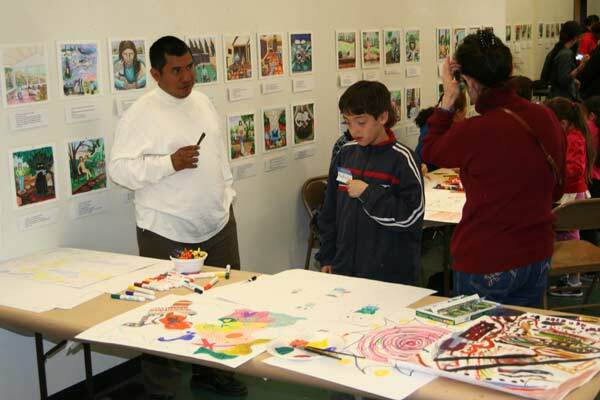 Canoga Park Youth Arts Centre acted as the venue for the first two sessions in Canoga Park. 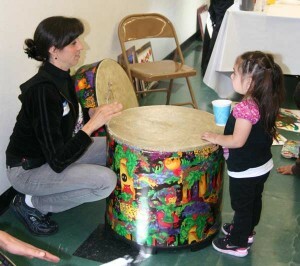 This wonderful arts centre serves children and youth from ages 0-17 and is funded by the City of Los Angeles. The centre also partners with Taxco, Mexico in cross-cultural international exchanges. Led by Director Stuart Vaughan, the Canoga Park Youth Arts Centre is a little bit of art heaven as far as I am concerned. The facilities are bright, airy and offer an outdoor area, gallery, workshop, administration offices and Mac computer lab all under one roof. 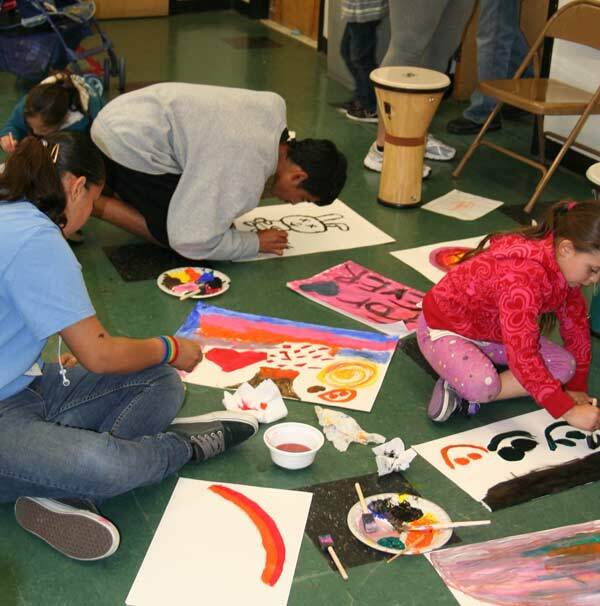 Stuart partners with area artists to offer workshops and opportunities for children and youth to learn, experiment and take part in arts activities throughout the year. While cutbacks have affected this small facility and Los Angeles has not escaped the recession, this cultural flower is still flourishing in it’s multi-cultural community. It was our pleasure to work with Stuart, (also a practicing artist) to bring about a stellar experience for the families of Canoga Park. Anything we needed, Stuart worked quickly and efficiently to provide, and took part in the sessions himself. No mean feat, considering there was an exhibition on in the gallery space which we occupied during the event. With a strong and willing slate of volunteers, the space was transformed into a giant studio for the day where community, staff, children and adults all gathered to “play” and take a chance to move outside their own comfort zones in an effort to form relationships and build community, using art-forms to dialogue with each other. The centre has a lovely outside courtyard annexed to the building. There, we gathered before and after our sessions to connect with each other in the outdoor environment. One of the most touching moments in a Community Fusion session is after we have created the work together. The sharing circle allows participants to talk about their experience together and discuss their individual insights into the process and their engagement with each other. As a facilitator in these sessions, I am always incredibly moved by how deeply the sessions touch the participants and how willing they are to share these individual moments of connection with each other. Exhibiting this level of vulnerability with family and community is one of the ways we develop empathic relationships with each other, and learn to rely upon the individual leadership strengths in our community. 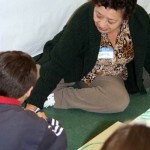 A grandmother shares a moment drawing on the floor with children. Community Fusion is an intergenerational experience, and the participation of elders and grandparents in the community is integral to the sessions. There is a special connection between generations when we participate in artful play together. The photo at the right shows a grandmother seated on the floor, co-creating a drawing with several young children. It truly “takes a village” when engaging in this work together, and the value of wisdom at any age is exhibited. This lovely lady in particular let me know how surprised she was that she took so quickly to trying out new things with the paint and instruments available in the project. 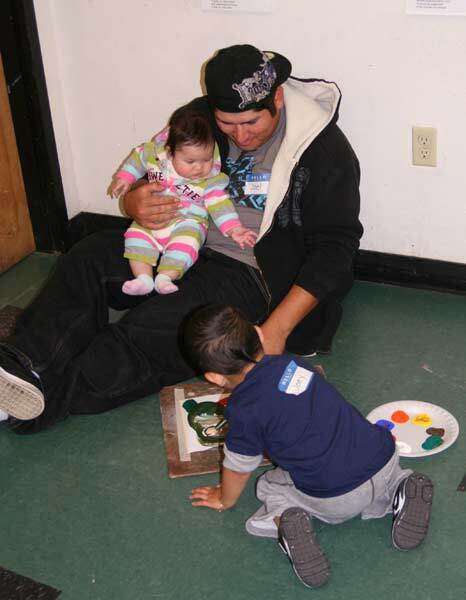 Fernando was totally engaged in this community painting - bigger than he was! 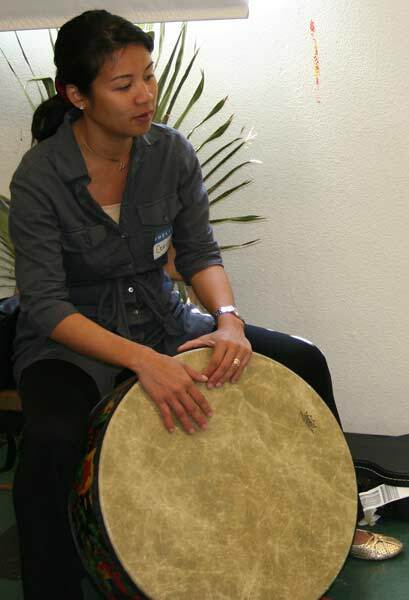 Getting into the “zone” is a common experience that participants share. The young boy in the photo above certainly found his method of communication and was absorbed and thoughtful in his community communication using paint. At the beginning of a session, this 40×72 inch white canvas can be a very daunting player in the room, but Fernando knew intrinsically that this is where he wanted to “talk” with others. 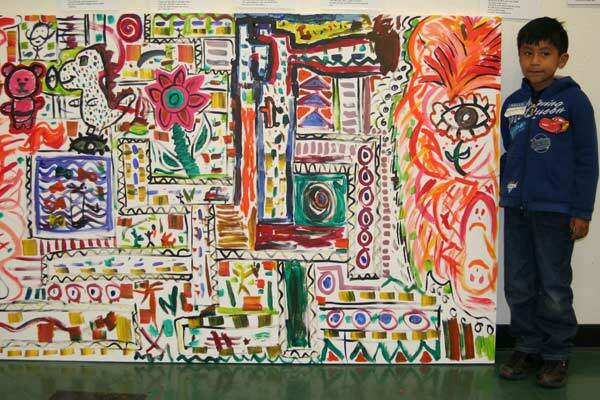 Works created in the Community Fusion sessions are created together – no one “owns” a space, a painting, a musical instrument or sculpture. Everyone shares in the creation of the works, making a mark or contribution where they feel it is respectful and needed. 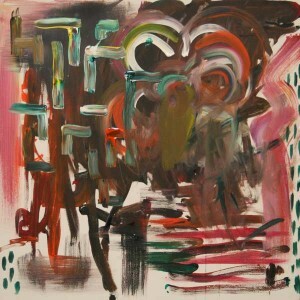 It is phenomenal to see the volume and variety of the works created in a single session when everyone works together. 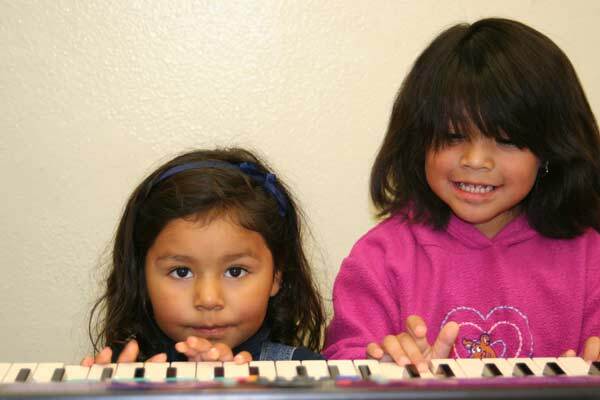 Duet with each other - providing the soundscape for creating. Many thanks to all the participants, volunteers and especially to the Santa Clarita/San Fernando Valley Child Abuse Council for inviting us into their hearts and lives. Together, we’ve created more new family! For more photos of the project, visit photographer Mik Milman’s site. Previous PostGrace Quote of The Day – On Naming It!